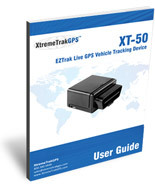 The XtremeTrakGPS™ XT-50 EZTrak is the easiest to use GPS tracker on the market. It can be installed in less than 15 seconds, and is powered by your vehicle's power supply, so there are no batteries to worry about. The XT-50 plugs in to any vehicle's OBDII port (located under the steering column), which comes standard on every passenger car, truck, and van manufactured after 1996. Just plug it in - and you're ready to start tracking! Every move is recorded and saved to your tracking account, so not only can you watch it live, but you can play back the routes driven up to 90 days later. Service is month-to-month with no contracts to sign, and is only $29.95/month. 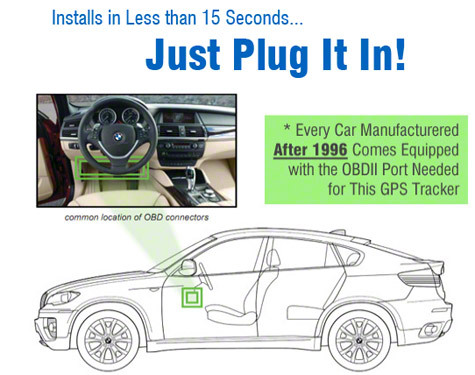 There are no wires or batteries to worry about - just plug the tracker in to your vehicle's OBDII port and it's ready to start tracking within seconds. Tracking is web-based, so there is no software to install. 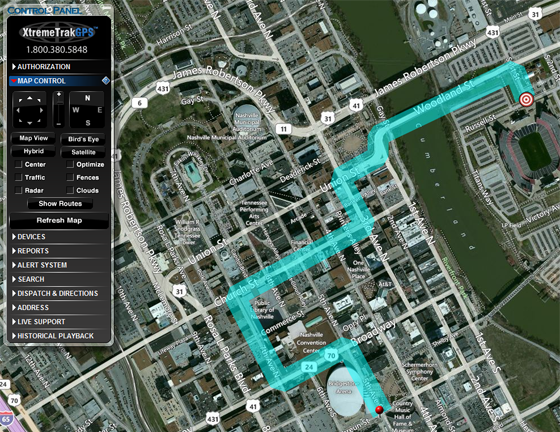 Simply log in to the XtremeTrakGPS Tracking Interface from any internet-connected computer (PC or Mac) or your smartphone and enter your username and password to access your live tracking information. Other trackers claim to have "live" tracking - but they only update every 1-5 MINUTES. A lot can happen in that time. With the XT-50, you get industry leading 10-second updates - the fastest on the market! 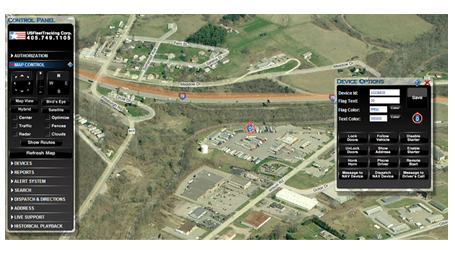 Our easy to use tracking interface allows you to set up geo-fence "zones". Just drag the zone handles to create a custom zone, and get alerted whenever the vehicle enters or leaves that area. Set custom email and SMS text alerts - get instantly alerted if a vehicle exceeds a certain speed, or enters or leaves a pre-set geo-fence zone. Also get alerted if vehicle deviates from a pre-set route, or when the vehicle's ignition is turned on or off. 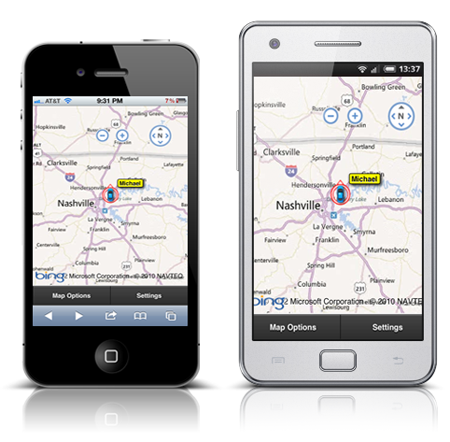 Track using your favorite smartphone - iPhone, Blackberry, or Android. There's no extra app to download - just open the tracking site in your mobile browser and log in with your username and password. Unlike other trackers that require a 3, 6, or 12-month contracts, the XT-50 has no contracts! Service is month to month, and you can cancel service any time. Becauset the XT-50 is connected directly to your vehicle, you can view the vehicle's fuel level and instantaneous miles per gallon (MPG) right from your online control panel. If you have a new teen driver, or even a teenager who has been driving for years, you know that this group of drivers is at a much higher risk for accidents. With the XT-50, track their vehicle easily from any computer in the world. Whether you have a couple of delivery vehicles or a fleet of taxi cabs, the XT-50 is the perfect tracker. 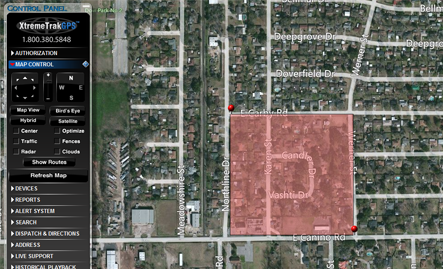 You can even track up to 3000 devices from a single screen, which allows you to easily keep an eye on all your vehicles.